Blue World Voyages is set to become the first cruise that is 100% dedicated to active, healthy lifestyles and holistic wellness – everything from the ship’s design and its onboard programs, to the dining options and even the on-shore excursions. Spa deck – which will include spa pool, indoor and outdoor treatment rooms and solarium, along with twelve private Bali beds so that guests may choose to sleep under the stars (breakfast included). Sports deck – an entire deck incorporating high definition golf and soccer simulators, batting cages, yoga, spin and TRX studios to name a few. Sea water “lap pool” – a rare feature generally seen on luxury yachts, this floating platform is perfect for open water swim training, or for those who prefer kayaking, is equipped with docking ports. 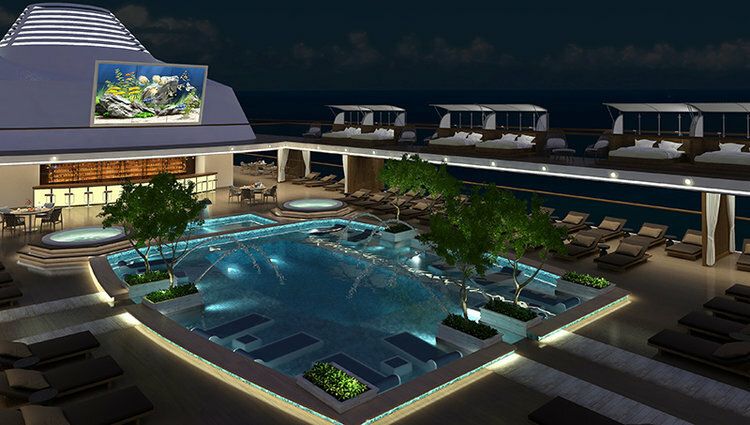 Blue World Voyages even offers permanent living among the luxury holiday-makers, with 26 suites available to purchase as a residence. 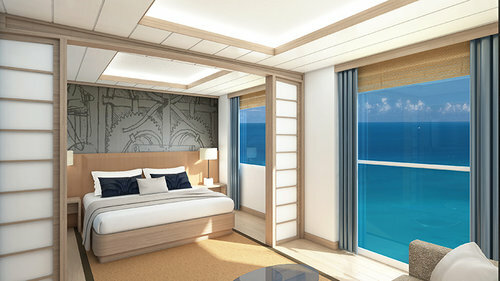 The cruise line will also become one of the first to down-size a cruise ship, in a bid to offer staterooms that are twice the conventional size, accommodating large bathrooms and walk-in robes designed to house a variety of sporting and active gear. In terms of on-shore activities, Blue World Voyages has carefully chosen their itineraries based on local activities such as cycling, hiking, running, golf, kayaking, and kitesurfing, and a variety locations ideal for mental wellness activities like yoga and meditation. 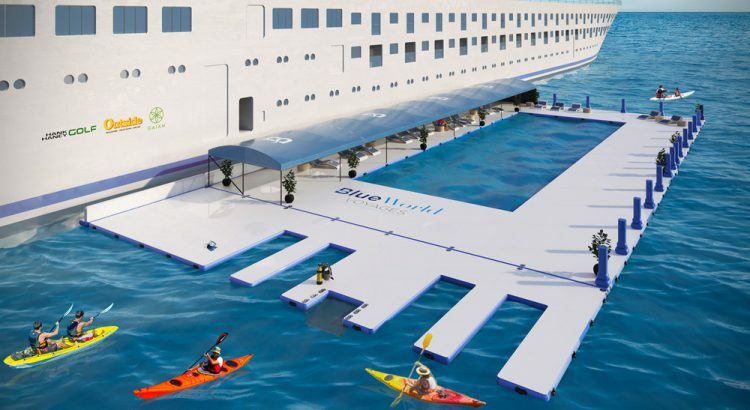 “We are creating a cruise line that responds to the preferences of active, athletic-minded individuals, or for those looking to move in that direction,” said John B. Richards, Blue World Co-Founder and CEO.